This gorgeous cutting board from John Boos is crafted from the finest northern-white species of hard-rock maple. 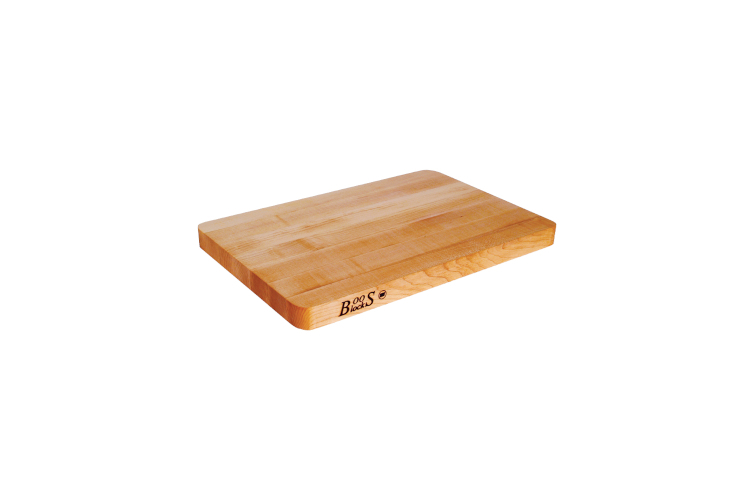 Maple wood is naturally anti-bacterial; therefore, this board will not harbor any bacteria. The board has rounded corners and is reversible, so you can safely cut meat and poultry on one side and fruits and veggies on the other. John Boos cutting boards are finished with Boos cream to create a protective layer so food and moisture do not damage the board. As the board dries out or becomes lighter, reapply Boos cream. In order to prolong the life of your cutting board, wipe it with mild soap, water, and a damp cloth to clean. Measures 10" x 5" x 1"